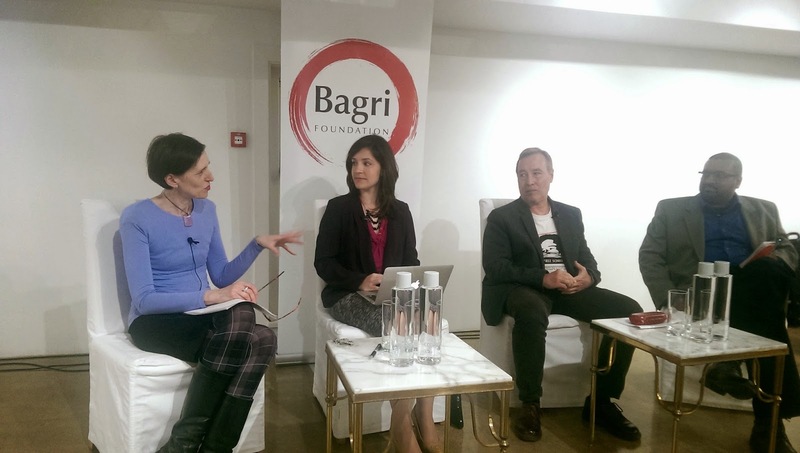 The Asia House Bagri Foundation Literature Festival in London has just hosted Brave New Worlds: Digital Freedom in East Asia. Nathalie Olah reports. If surveillance is a major sticking point of political debate in the West, it’s a reality for thousands whose lives have been transformed at its hands in South East Asia. Far from being a hypothetical threat - the subject of column inches whose affects are rarely felt - governments in China, Vietnam, Thailand and of course, North Korea, are using surveillance software not just in the name of upholding national security, but to police and doctor freedom of expression. Last week, the Asia House Literature Festival brought together three pivotal spokespeople to discuss the issue of spy software and surveillance in East Asia. Giles Ji Ungpakorn is a former professor at the Faculty of Political Science at Chulalongkorn University, Bangkok, who was forced into exile after staging a protest in opposition to the military coup of 2006. Today he works as an administrative clerk at a hospital in Oxford, while writing extensively on the injustices of the Thai political system and rallying resistance to the country’s oppressive censorship laws amongst its student population. Gigi Alford of Freedom House, a US-based NGO advocating freedom of expression, democracy and human rights, joined him, as well as Gus Hosein of Privacy International. The talk was chaired by Director of English PEN Jo Glanville. For the audience whose knowledge on this subject seemed varied, Alford began by outlining the ten possible forms of surveillance: firewalls; attacks against regime credits; lawmaking to prevent political speech online; paid pro-government commentators; physical attacks; take-down requests; forced deletions; blanket blocking of domains; campaigns to ‘clean the web’ and the threat of shutting down mobile Internet services. All ten techniques are being used in China where conformity to the government’s ethos is so pervasive that it has engendered a climate of self-censorship as widespread and as damaging to transparency as that which is imposed. And while the suppression of feeling contrary to a government agenda is a flagrant assault on democracy, more shocking are instances of entrapment. As in the case of Vietnamese human rights lawyer Nguyen Bac Truyen, who gave free legal assistance to victims of land grabs, and campaigned for multi-party democracy before realising too late that his private correspondence with clients had been hacked. Bac Truyen was attacked on his way to the Australian embassy in Hanoi and his house subsequently surrounded by the city’s Dong Thap police. Vietnam is second only to China in the number of bloggers targeted in one form or another by authorities. Since Decree 72 came into effect last year, citizens have been banned from discussing current affairs online. To Alford’s initial list, Hosein added three more techniques that are currently being developed by software companies in the West and exported to Asia. These included National surveillance centres, capable of monitoring information being shared within and across a country’s borders; as well as IMSI-catchers – wearable, fake mobile towers that act between the service providers’ own and target devices to collect data. At just over US$ 8,400 it is one of the more widely available forms of surveillance hardware on the market. Finally Hosein cited FinFisher, the software made notorious by Wikileaks and developed by Lench IT solutions, with a UK branch Gamma International based in Andover. It enables users to access calls, as well as switch on the microphone and camera of target mobile phones. That the use of this software is being justified by governments as a means of chilling dissident speech is frankly absurd, given users remain entirely oblivious to the fact they are being targeted. While the UK has granted asylum to activists such as Ungpakorn, its role in the widespread use of surveillance technology not just on home turf, but in the East, is considerable. And the same goes for other Western states. After all, it is here that most surveillance software was pioneered and continues to be developed, and it is here that the precedent of questionable surveillance policies is being set. Think back to Nokia issuing the Iranian government technology to monitor phone calls in 2009 and you’ll be reminded of how Western techniques have been exported to the detriment of innocent civilians across the world. At the present moment, few solutions exist to the problem of surveillance. Amazon web services offer users the possibility of privacy with their ‘https’ service, although this is only permitted while the company does not have a physical presence inside a given territory. With the arrival of Amazon’s first China-based office later this year, it’s safe to say that the services availability inside the country will soon be diminished. “Nobody’s a good guy anymore.” Gus told us. “Intelligence agencies in the UK, in America, and soon elsewhere, can now mimic the user interface of companies such as Facebook and Linkedin without users knowing." Then there’s the worry of tech-savvy activists eventually applying their expertise to exacerbate the situation further. Let’s not forget, that many of those who set up the Stasi, went on to create the sorts of companies that they once fought to resist. Make that a free Internet, for the web is becoming a form of incarceration whose long term effects can likely be predicted by observing the activity that is already taking place across so many Eastern states.